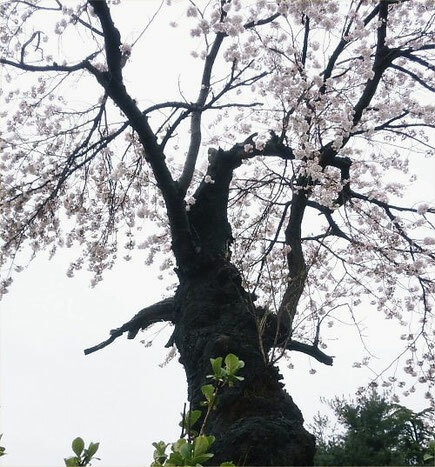 This picture is this old cherry tree’s last blooming on Wednesday, April 8th, 2015. 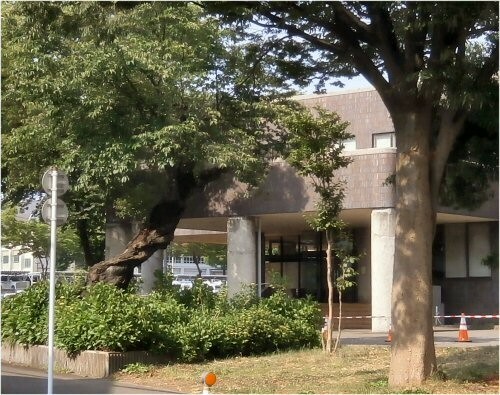 I believe this cherry tree in front of Kin-ken Center must be 113 years old. 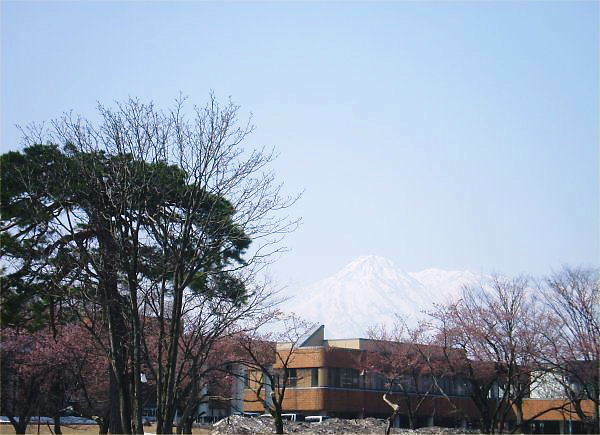 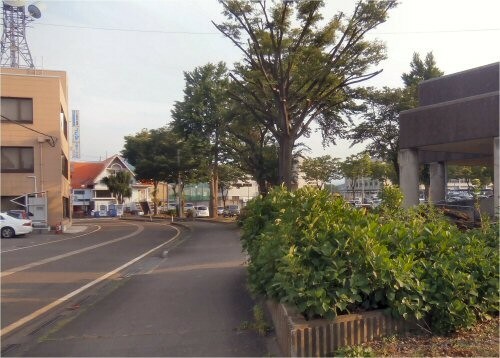 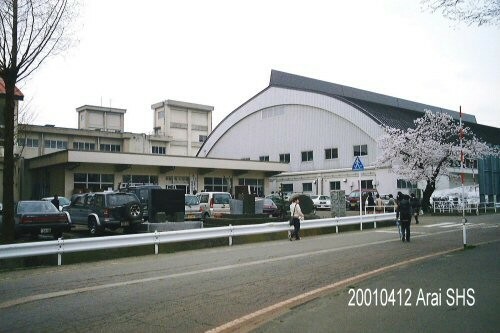 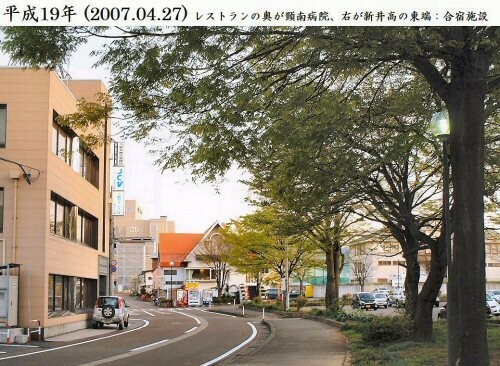 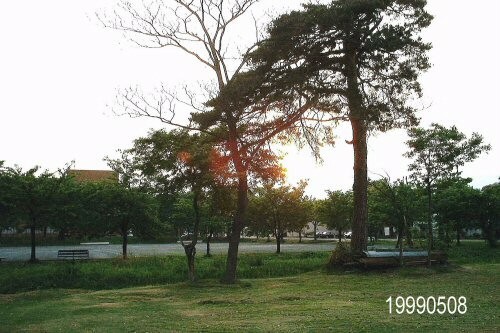 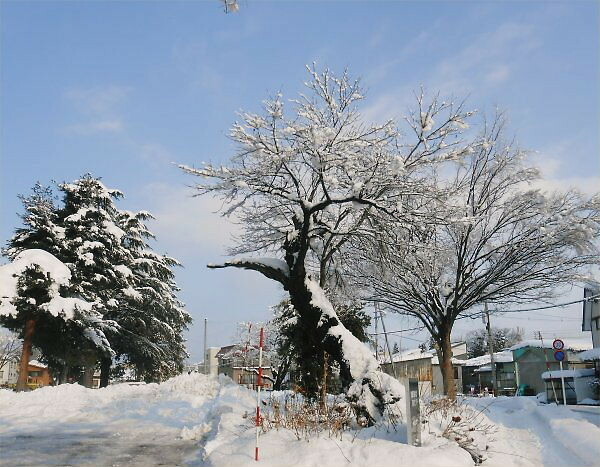 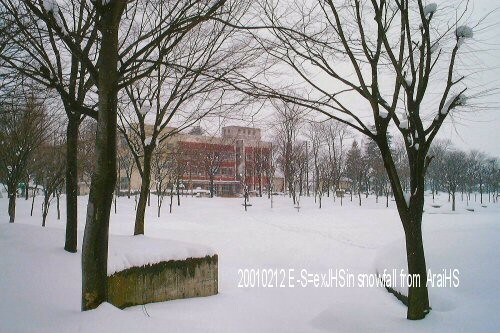 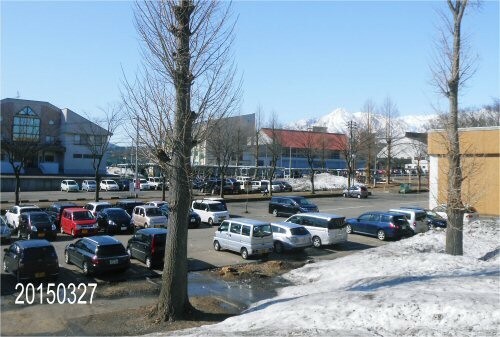 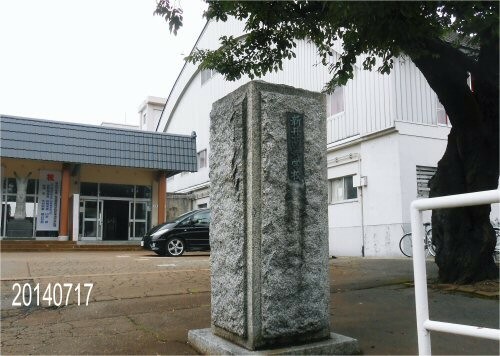 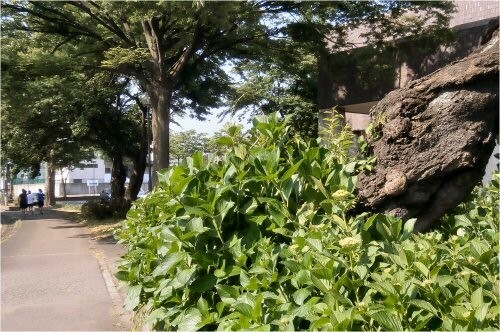 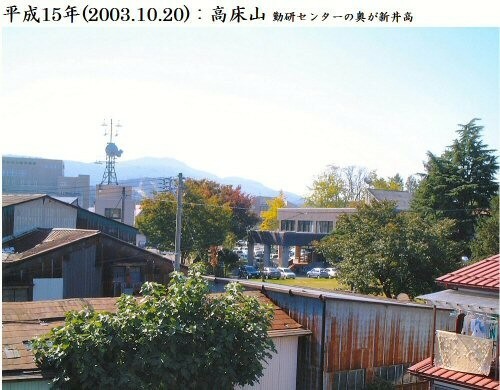 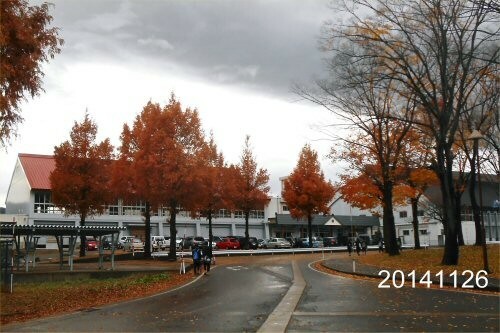 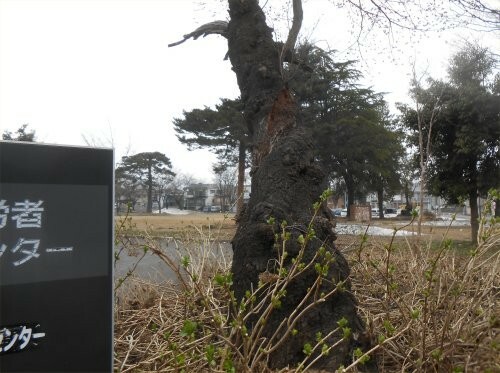 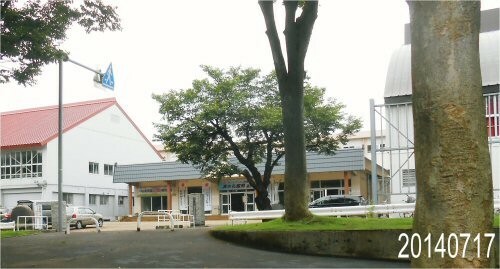 The location of this tree was between The South-Gym of Arai Elementary School and Arai Citizens’ Swimming Pool when Yoshy was a child. 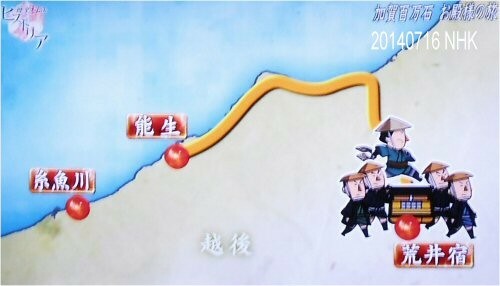 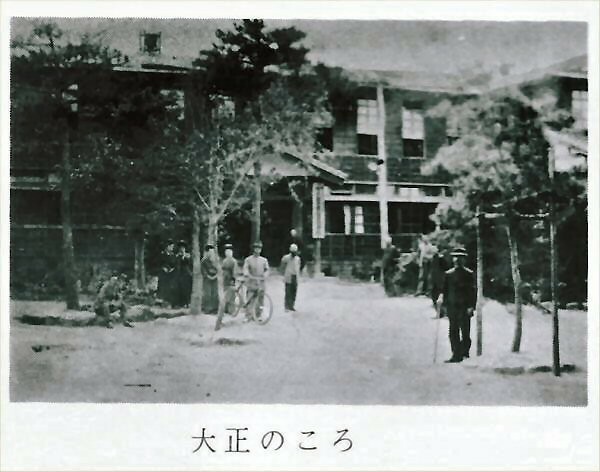 This picture was taken around the beginning of Taisho Era (1911 - 1926). 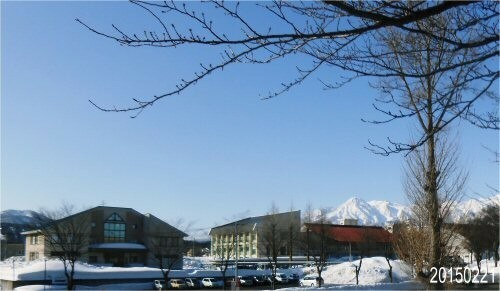 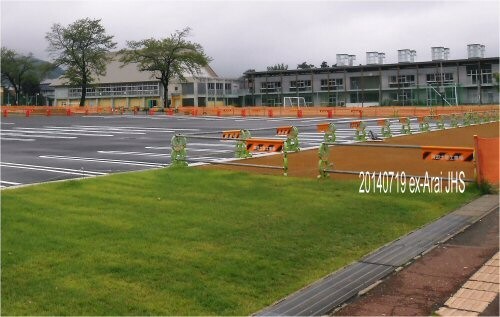 We see some young cherry trees which has already grown up in front of the gateway for teachers. 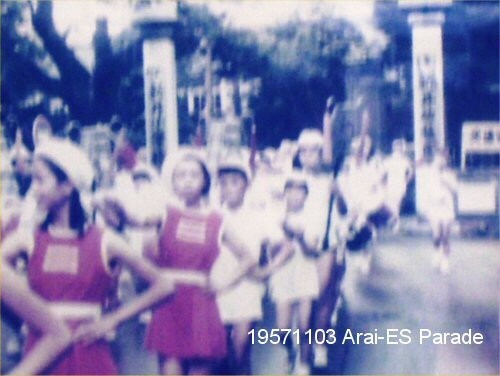 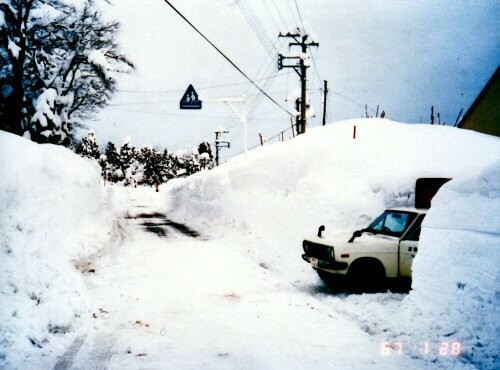 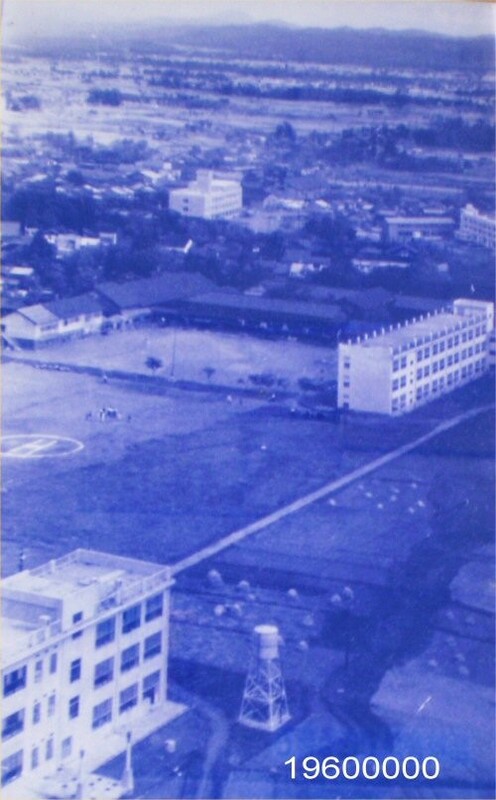 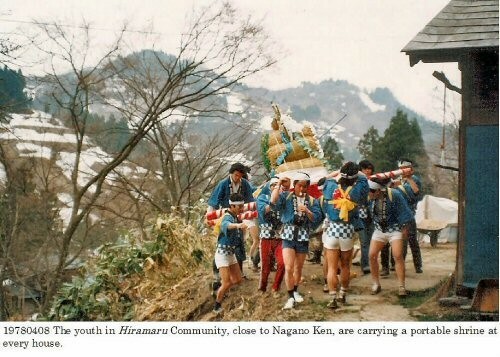 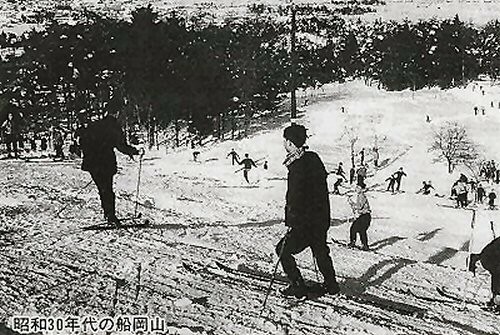 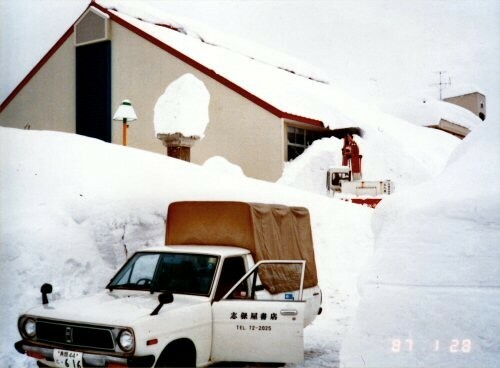 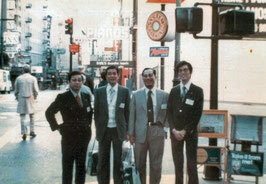 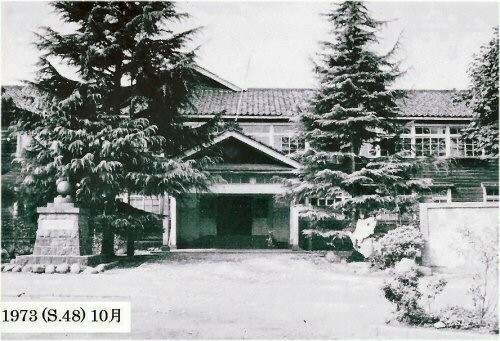 This is a photo taken before the war in Showa period (1926 – 1989 *CE). 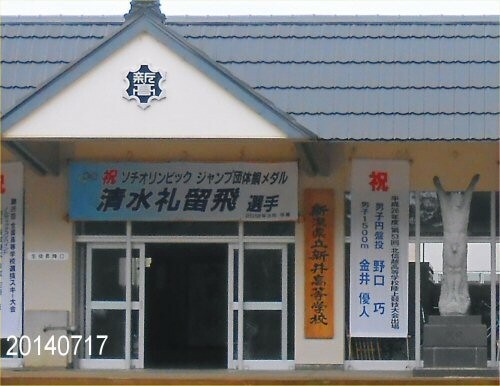 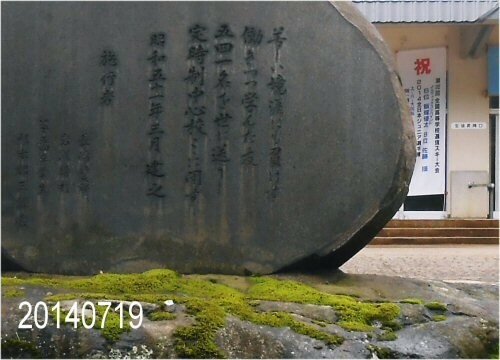 We see two signboards hung on the gateposts; one *reads “Arai Jinjo Higher Elementary School” and another does “Arai Jinjo Higher Women’s School”. 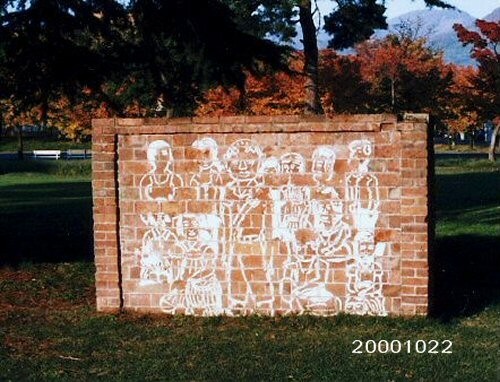 Yoshy who was born after the war clearly remember the cherry tree beside the left gatepost. 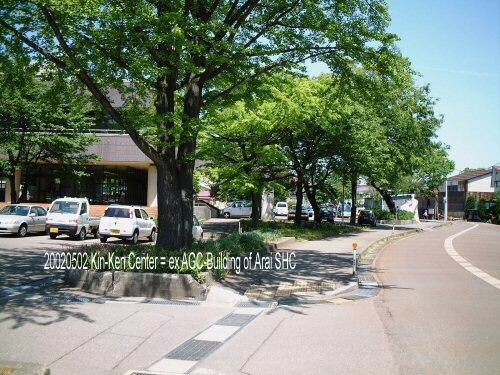 There were about *ten-odd ones toward Kin-ken Center which were in full bloom every spring. 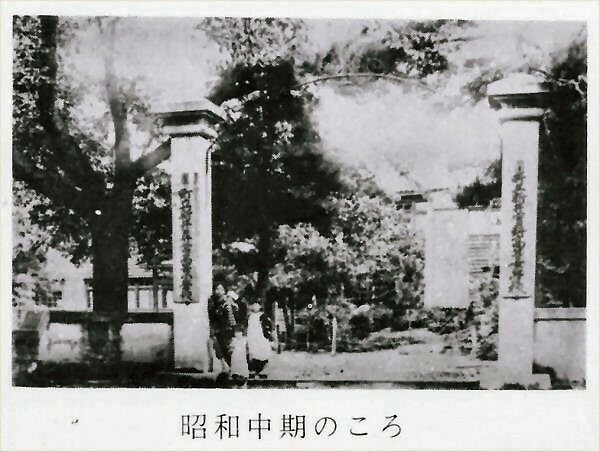 BTW, you see “The monument to commemorate the enthronement of Emperor Taisho” *reared in 1916 (Taisho 5); it still stands at the same spot now. 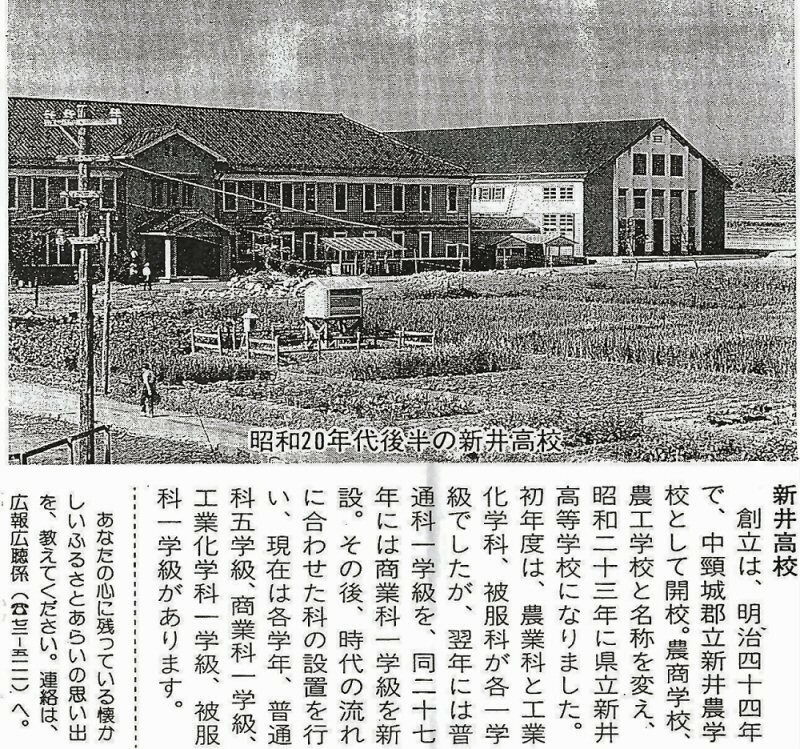 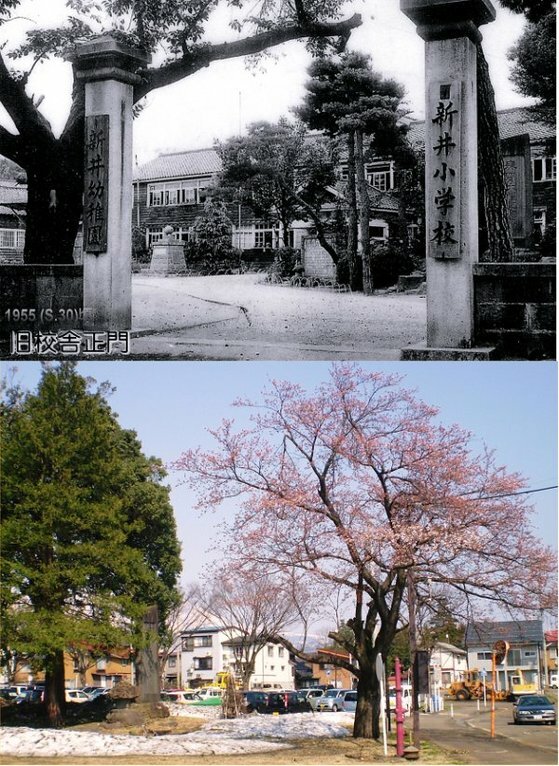 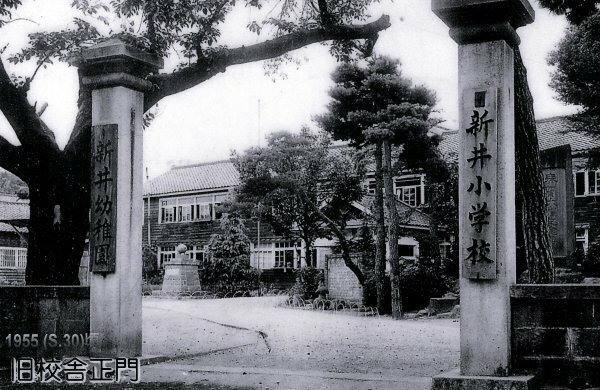 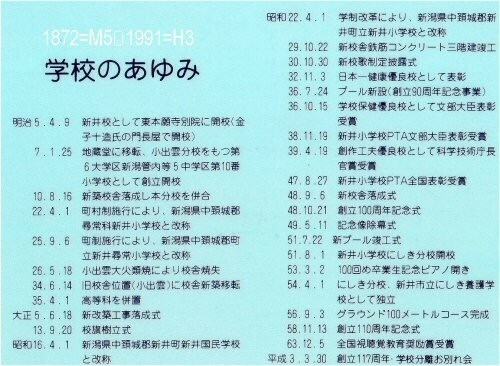 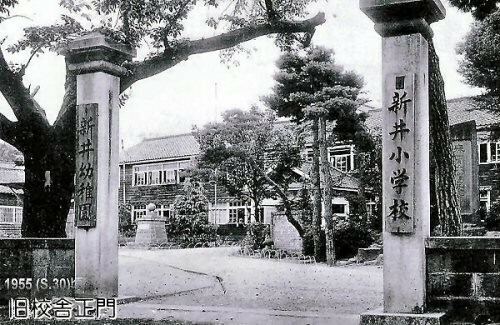 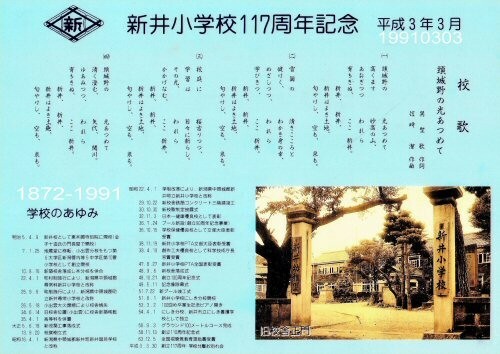 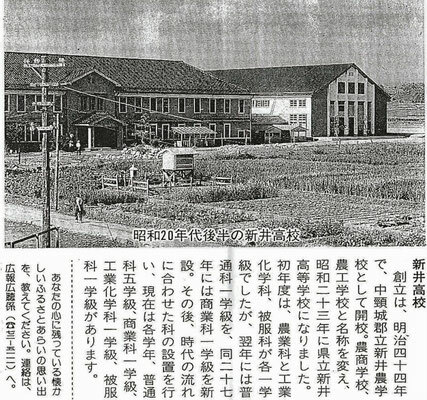 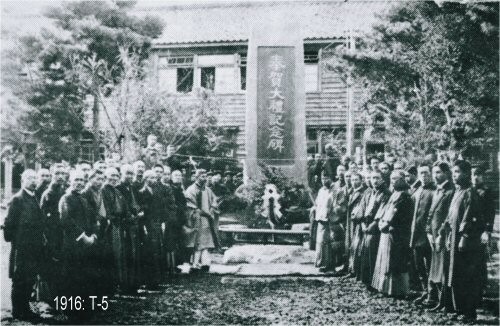 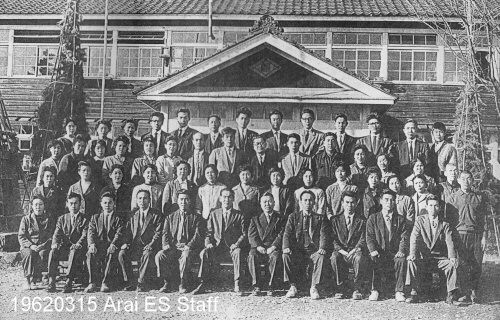 It was April 1st, 1902 (Meiji 35) when a higher course was added to “Arai Jinjo Elementary School”. 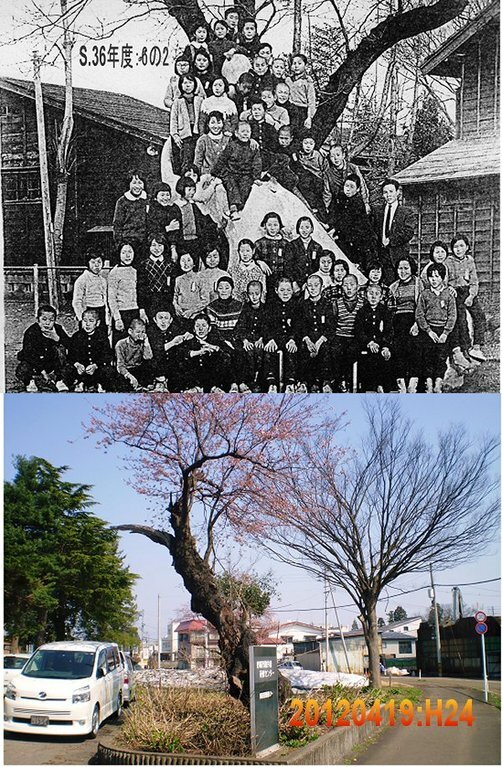 I believe it’s *reasonable the cherry trees should have been planted in the year to *commemorate that. 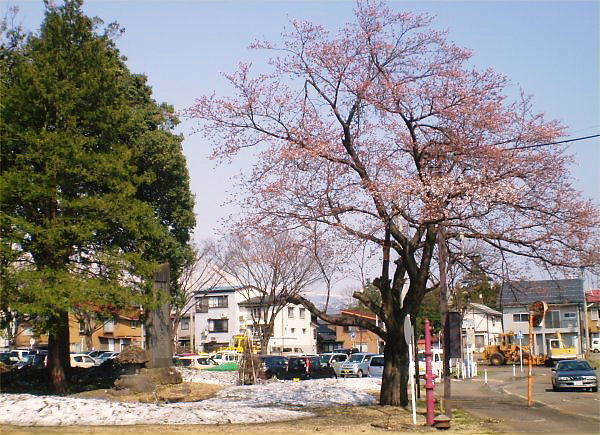 This photo is a usual Cherry Path taken last Wednesday, April 1st. 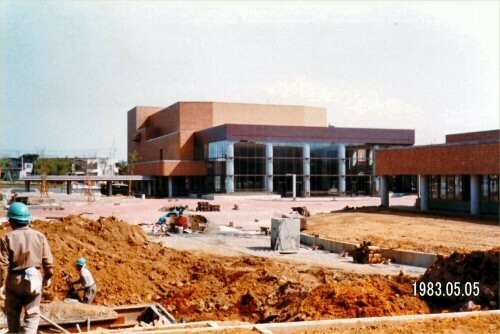 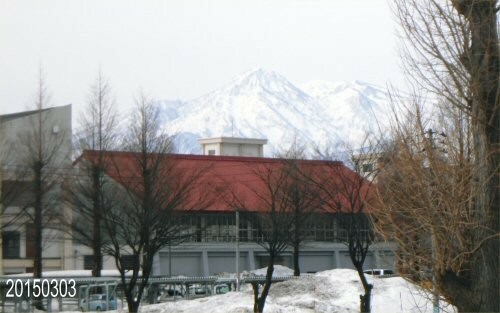 Kin-ken Center is seen *on the left deep side. 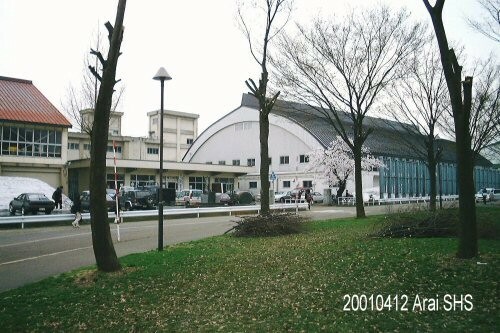 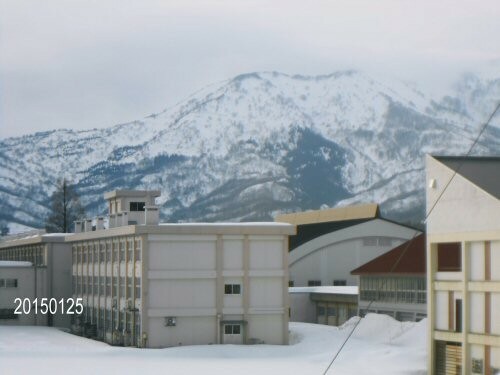 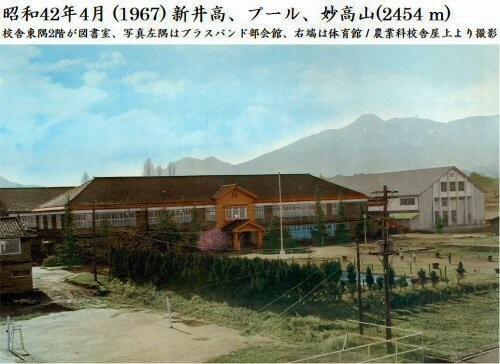 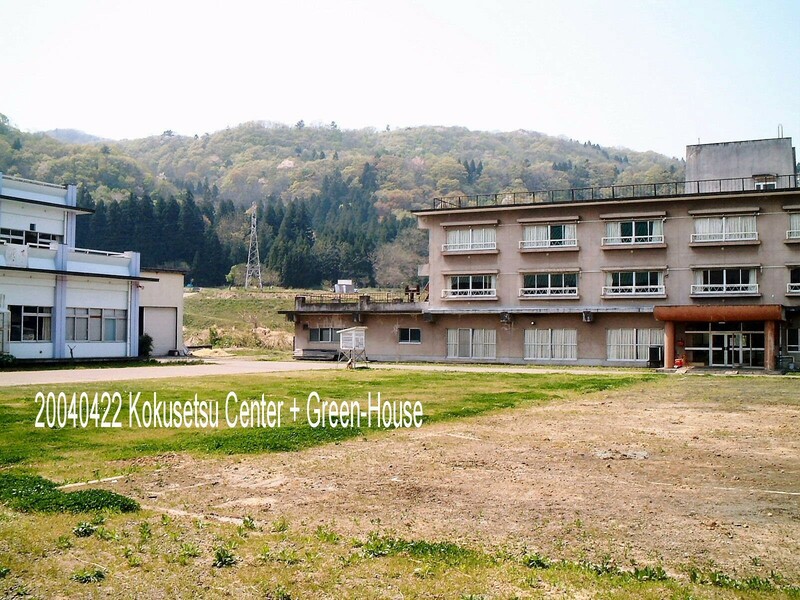 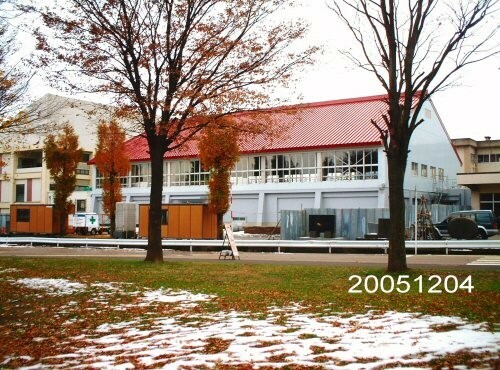 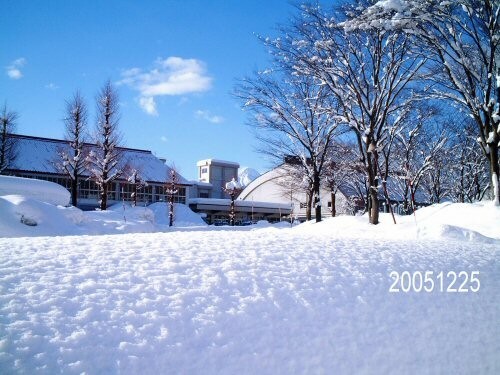 The cherry trees standing *in a line on the right are 32 years and a little over, because…They were planted in 1983 (Showa 58) when Arai (present Myoko) Culture Hall was being built. 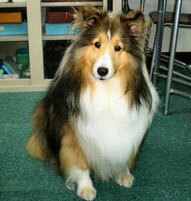 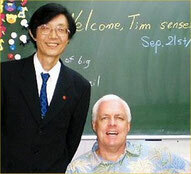 It was April, 20112 when I began to *premonition of the time of his death. 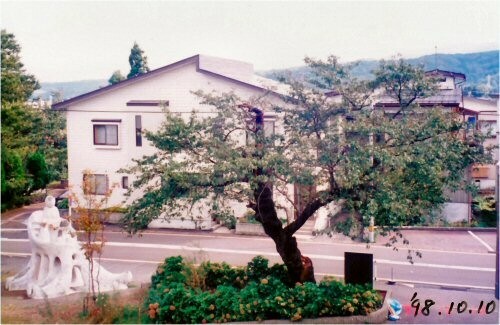 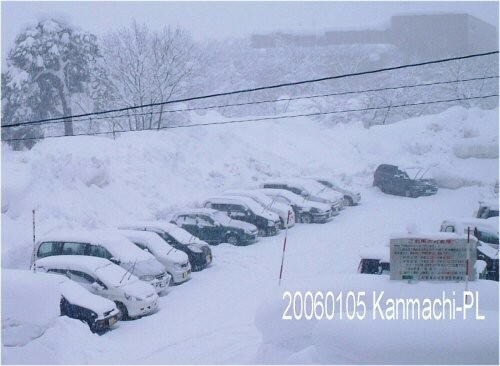 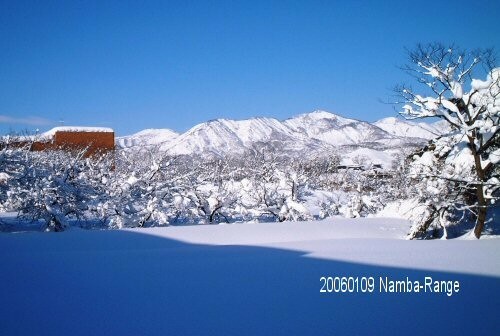 The old cherry tree is in this picture, behind “White Slide” Every spring when I was growing, many Yoshino cherry trees were *in full glory. 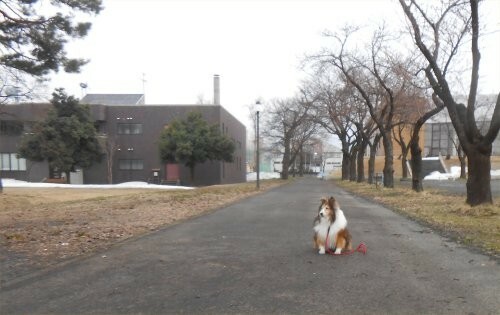 Time passing by, this picture taken on the 8th of November, 2014 was his last memory of winter. On the 1st of April, 2015, I remember that I took a picture of him at the spot where there was some remaining snow, praying in my mind, ‘to be able to bloom this spring, too’.－ Yes, he bloomed as same as his past springs. 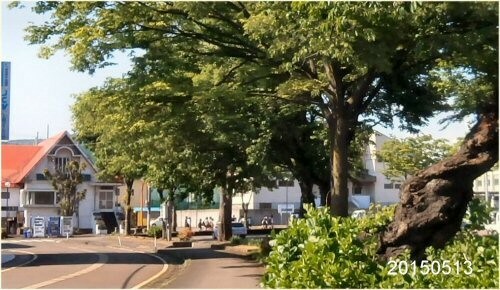 In the morning on Tuesday, June 2nd, seeing some red cones for sign, I realized his last moment. 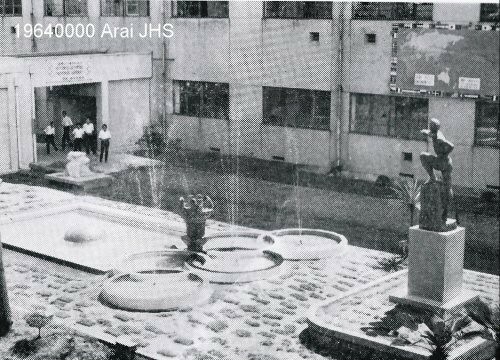 That evening, just before PB-class of LL Shihoya Arai School, I walked there with the students. 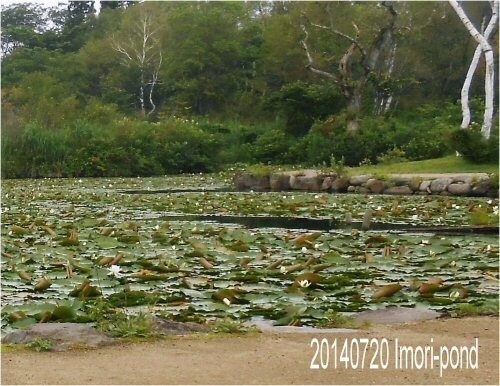 ―　He had not been there yet. He was really a special tree as Yoshino tree. 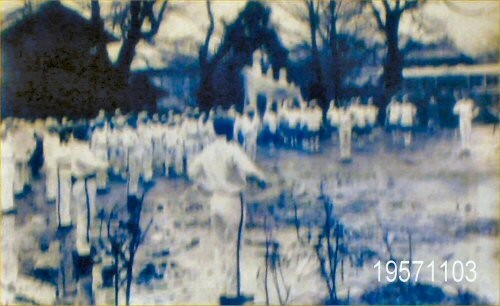 He was watching numberless kids around here through their four or five generations at the same time seeing off them, too. 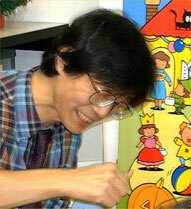 I express my *gratitude for him. 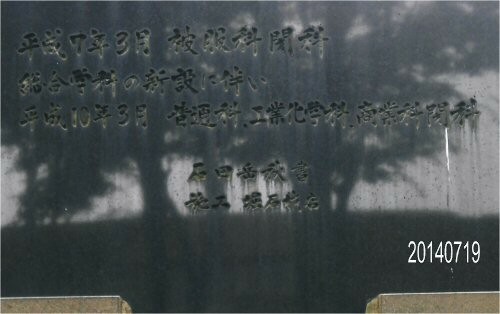 I believe if I were a poet, Ms. Yamashita, I could write well-chosen words here! 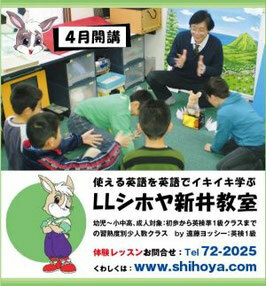 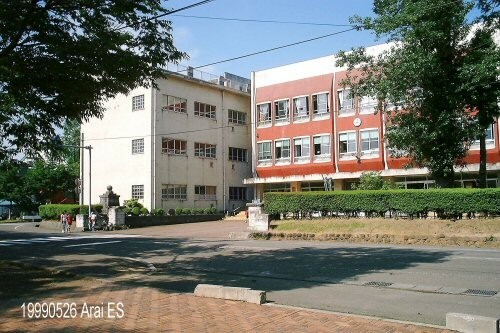 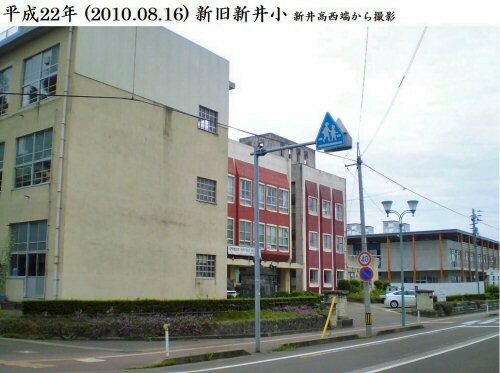 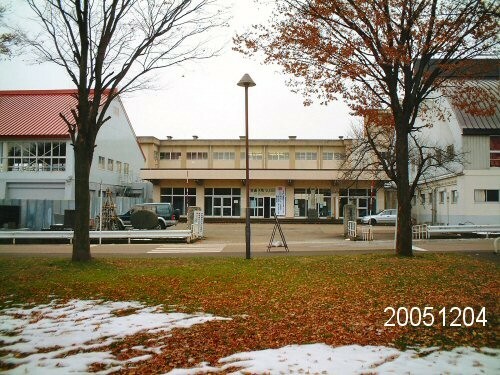 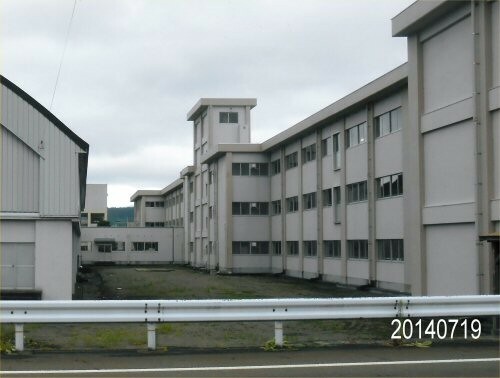 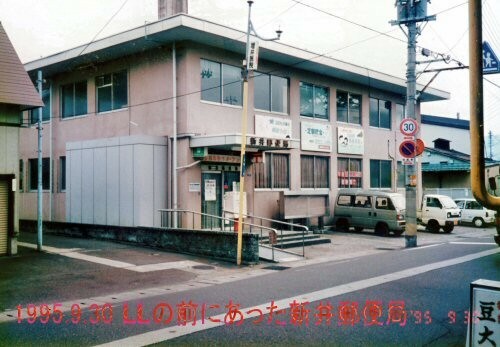 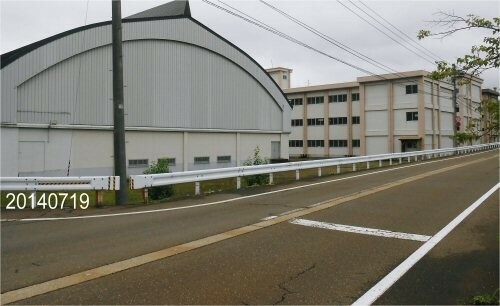 Former Arai Elementary School with Arai Kindergarten where Yoshy was on the register (Yoshy was in the first year of Arai Kindergarten) was located just next to LL Shihoya Arai School (Yoshy’s residence). 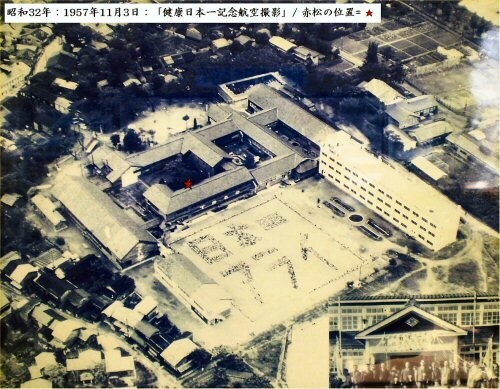 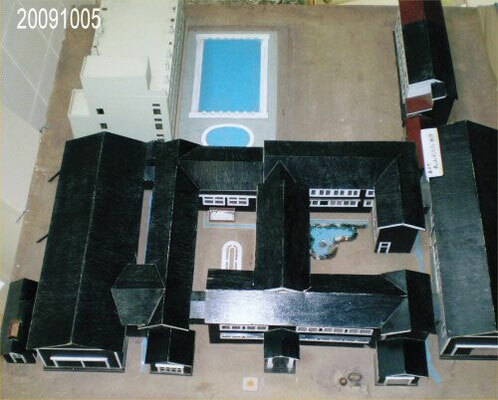 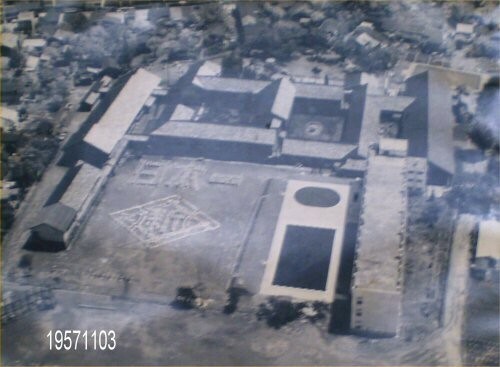 The school at that time was built on June 14th, 1901; then it was renovated on June 18th, 1916.